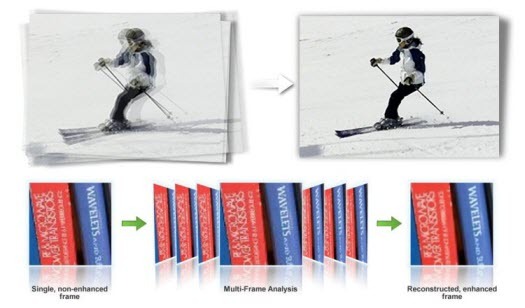 Technology has always came to rescue when needed, and if you want to fix your low-resolution, poor quality videos - patented video enhancement technology “super-resolution" is now here for your help. Thanks to vReveal software for Windows, anybody can now quickly fix videos taken from cellphone, HD camcorder, digital-camera, or any other device with a single-click, the free software will stabilize, brighten, sharpen and enhance your videos using patented “super-resolution" technology which has been adapted from powerful forensic tools used by law enforcement and intelligence agencies. After using vReveal personally on my videos, I am confident that any user willing to enhance their videos will find this free solution worth the effort - to get started all you need to do is grab the installer from official website here- http://vreveal.com/download . Thanks for the review, does it work on large files, also does it work on old movies. How long does it take on 750Mo video file. * The free version of vReveal displays some advertising and places a temporary watermark on enhanced videos. ** The free version of vReveal imports videos up to 1080p HD, but only exports up to 480p. the file contains TheMida.AAA.Trojan founded by Nod32. This app is also provided by nVidia, try using virustotal.com to verify as this seems a false-positive by NOD32. Really great app, was searching for something like this but never knew there was a free option available.